Yesterday was my birthday and one of the things I wanted was just to spend time with my mother. So, we went for a manicure! 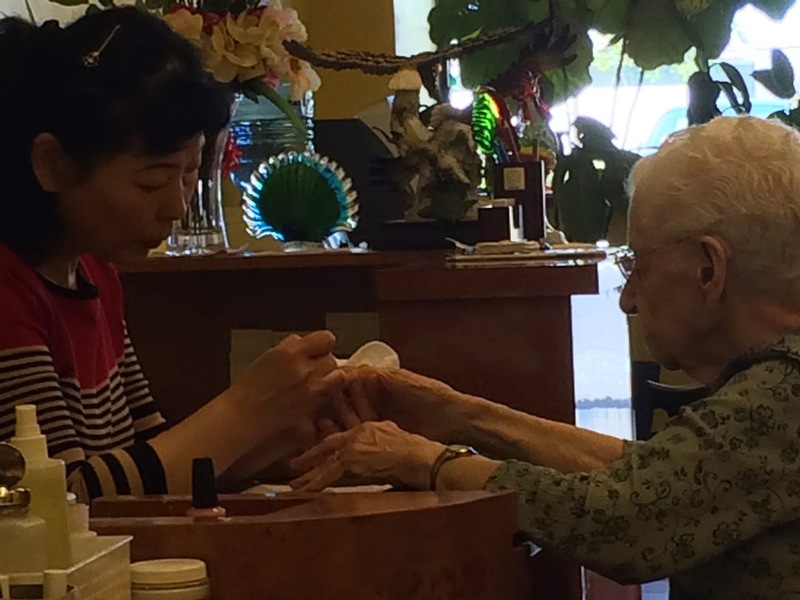 The very best thing about this manicure is the fact that it is the first manicure my 97 year old mother has ever had! ... look at happy she seems! 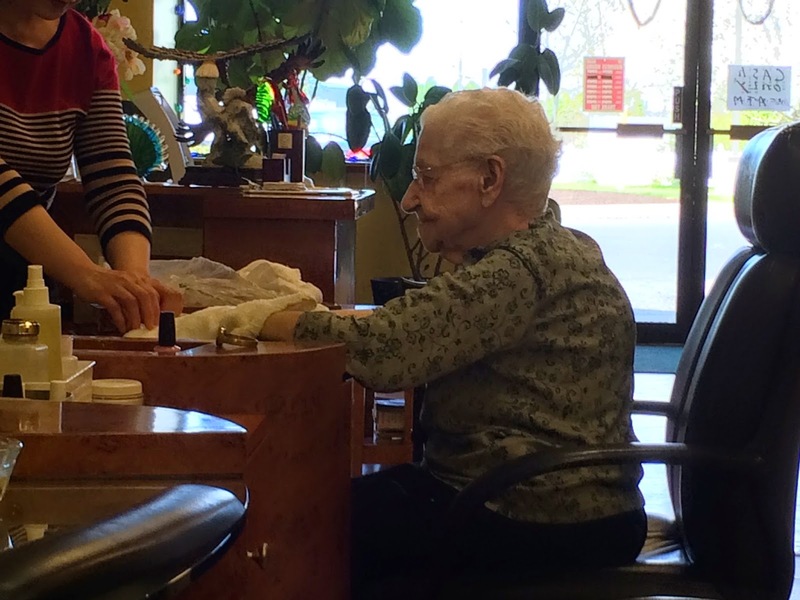 She was pampered with paraffin wax and a nice massage too! I thought she'd just put on a clear coat of polish, but she surprised me and went with light pink. 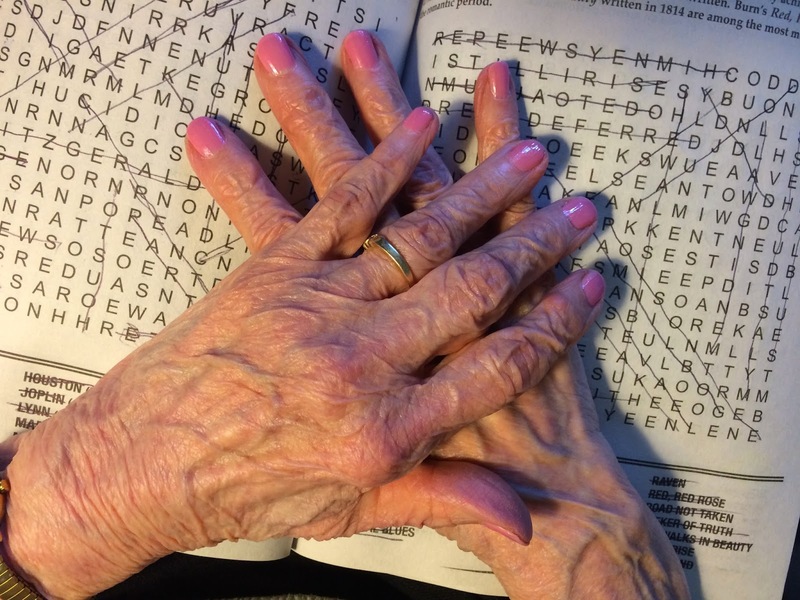 Aren't those the most beautiful hands!? You all have probably heard similar love stories, but this love story is so touching (just like the Notebook)! A love story that lasted nearly three-quarters of a century ended only minutes apart last week when a Kentucky couple married for 73 years died at nearly the exact same time. William Wilson, 93, and his wife, Lillian, 89, had been together since they were high school sweethearts in the late 1930s. On April 7, the couple's son, Doug, 66, got a call at 3:52 a.m. from the Thomas Hood Veterans Center in Wilmore, Kentucky, telling him his father had died. Five minutes later, he received a call from Richmond Place, a retirement community in Lexington where his mother lived, informing him that she, who suffered from Alzheimer's disease like his father, had also passed away. Once the shock wore off, Doug was able to cherish his parents' enduring love story, reflecting on a romance that persevered through his father's time fighting in the Army in World War II and various job changes, including a radio show in which William was known as "Wild Bill" Wilson. "They were a really loved couple,'' he told the Herald-Leader. "Wherever they went, they made lots of friends." In February of 2014, a couple that had been married for 72 years died while holding hands, while in August of last year a couple that had been together 60 years died only hours apart. Remember the Filet Crochet a made as a favor for a friend? 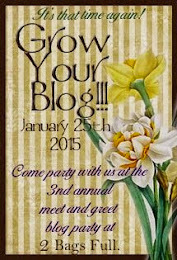 It was one of my 'snowy days' projects. 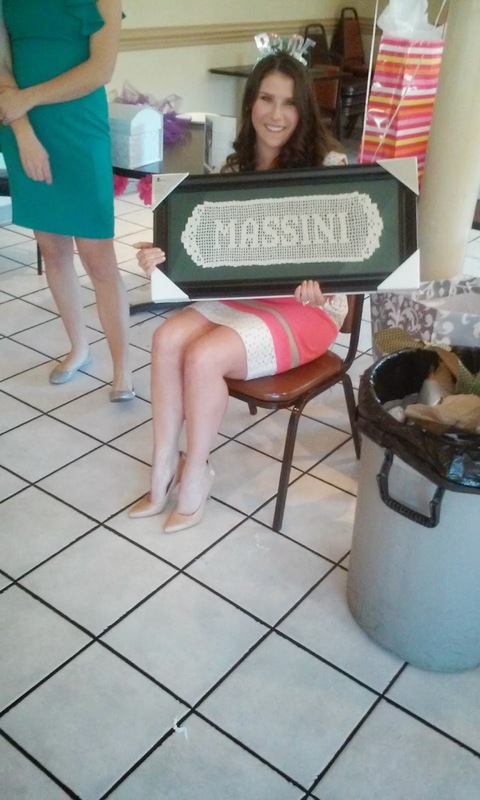 Well, it has been gifted it to the bride-to-be and by the looks of this picture, I have to say she likes it! Nancy is a long time friend whom is also part of my knitting group. 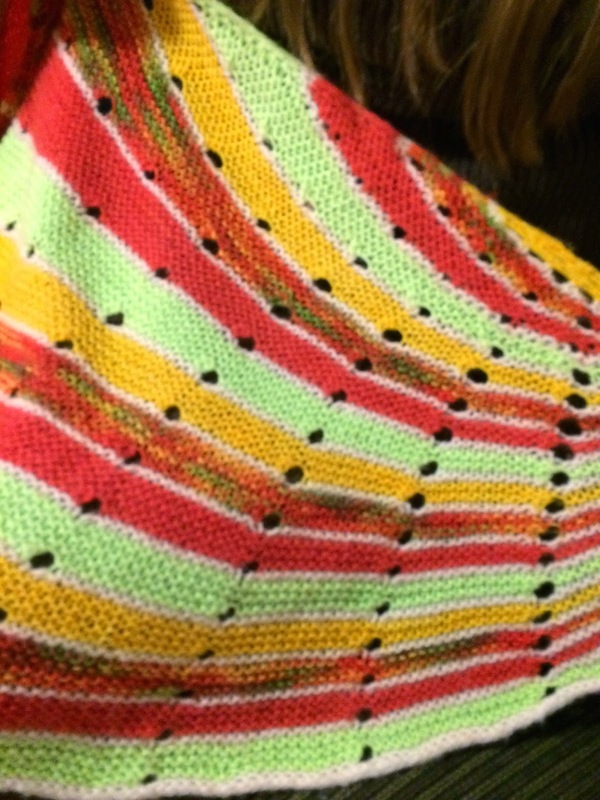 Last night she arrived at knitting showing us her completed version of Stephen West's Dotted Rays shawl. Isn't it beautiful? I love the colors she chose to use for this shawl; so springy! 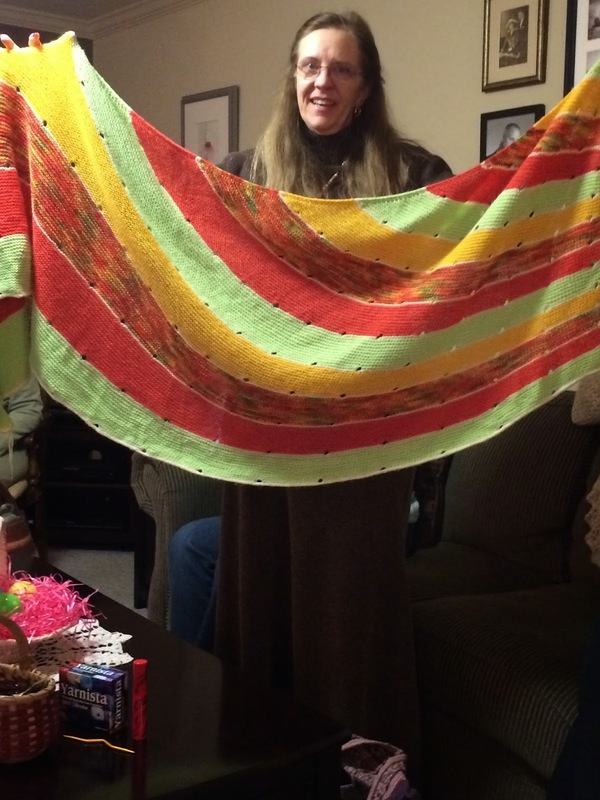 Nancy is one of those gals who can do it all; she spins, dyes, knits and crochets. The funny thing is that a few years back, Nancy threw away her knitting needles away proclaiming she just couldn't knit!! Well, finally, years later she got the hang of it, and she has surpassed everyone in our little knitting circle. We love seeing her creations. Do they look familiar in any way? They are made from heirloom silver spoons. 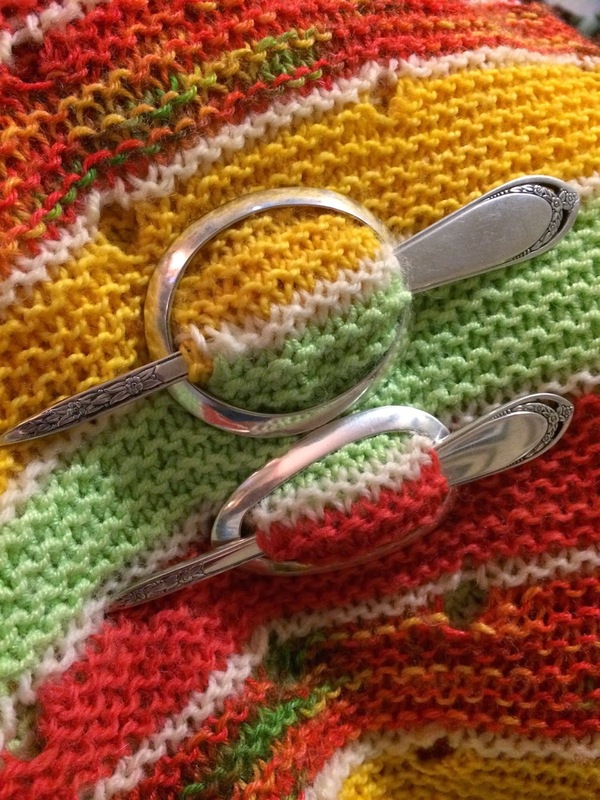 Yes, Nancy find a lady making shawl pins from spoons. I love them! 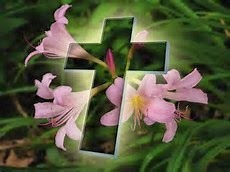 For those of you who have asked for the links to the recipes I prepared for Easter, they can now be found here! Sorry I can't share a photo of her wearing it, but she did wear it to church with her Easter dress on Sunday and it looked beautiful on her. 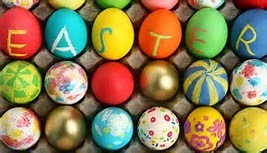 Well, Until 2:00 PM today we did not have any colored Easter eggs! 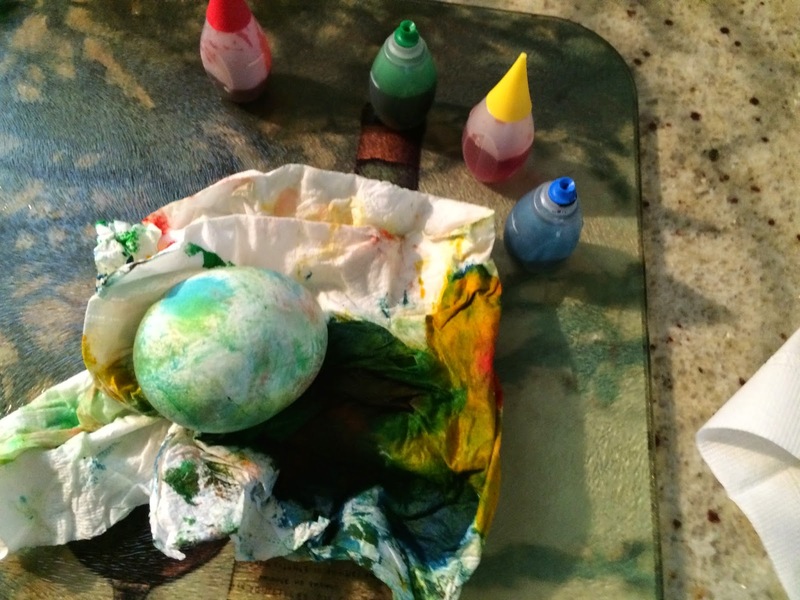 I had debated if I really wanted to take the time to dye eggs since our children and granddaughter would not be with us this year. However, my dear husband was looking for an egg and I just had to do something. 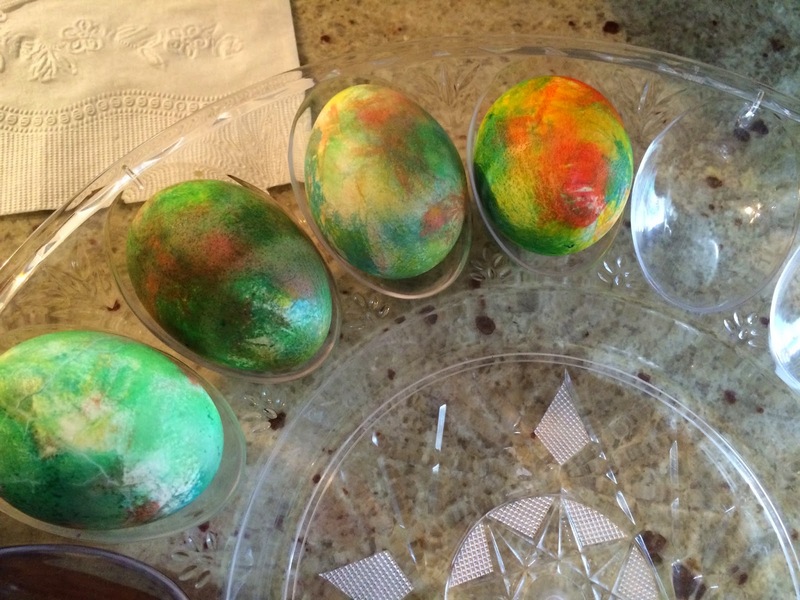 So, in less than 30 minutes, I hardboiled a dozen eggs and dyed them! 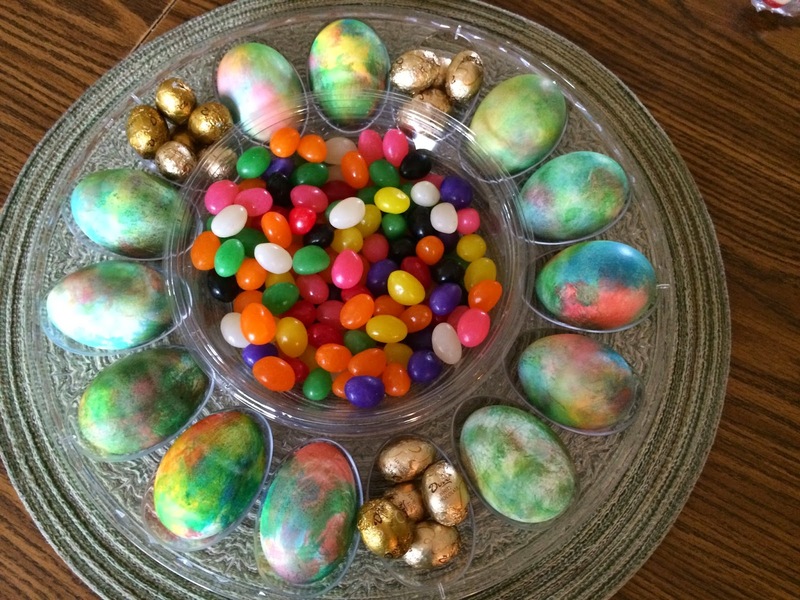 ...viola' dyed, marbleized Easter eggs! Do you know what else is easy? Cooking the entire Easter meal in crock pots! Details and recipes to follow......Happy Easter! John Lennon's first wife, Cynthia, died yesterday. Their son Julian wrote a beautiful song in memory to his mother, and I thought I would share it here in case you missed it!